The 2013 Great Wine Capitals Global Network’s wine tourism survey reveals that wine tourism is by no means seen in the same way by wineries in our regions but rather is focused on different targets and uses a wide range of marketing tools to generate profit. 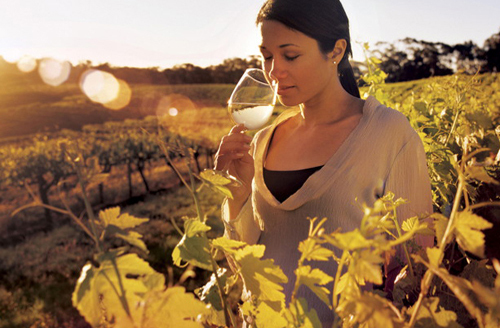 What is the most important factor that attracts tourists to wineries? Across the Great Wine Capitals, the most impactful activities by wineries are offering food and the promotion of an authentic experience. Revenues from wine sales account for no less than 50% of total wine tourism revenues. Apart from these coincidences, results differ widely between regions. Wineries in the New World (the Cape Winelands, Mendoza and Christchurch | South Island) are more focused on attracting a large volume of visitors while Old World wineries (Rioja, Bordeaux, Florence, Porto and Rheinhessen) price products and services to a narrower segment of visitors. The study reveals striking demographic differences between regions. Wineries in the Cape Winelands , Mendoza and Florence attract a younger clientele than the other regions. In Tuscany most of the visitors are foreigners while Rheinhessen attracts mostly locals. Non-wine revenue is generated in different ways in different regions. For Porto, it’s food; for Mendoza, merchandising; for Mainz | Rheinhessen and Florence, onsite lodging. Christchurch | South Island and the Cape Winelands are specialists in event hosting.